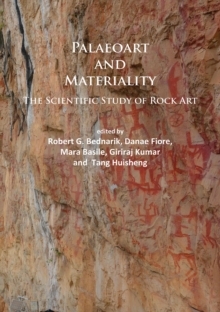 This book contains a series of selected papers presented at two symposia entitled `Scientific study of rock art', one held in the IFRAO Congress of Rock Art in La Paz, Bolivia, in June 2012, the other held in the IFRAO Congress in Caceres, Spain, in September 2015; as well as some invited papers from leading rock art scientists. The core topic of the book is the presentation of scientific approaches to the materiality of rock art, ranging from recording and sampling methods to data analyses. These share the fact that they provide means of testing hypotheses and/or of finding trends in the data which can be used as independent sources of evidence to support specific interpretations. The issue of the materiality of visual productions of the distant past, which in archaeological theory has attracted much attention recently and has stimulated much conceptual debate, is addressed through a variety of scientific approaches, including fieldwork methods, laboratory work techniques and/or data analysis protocols. These, in turn, will provide new insights into human agency and people-image engagements through the study of rock art production, display and use.